The importance of a proper roof inspection. One of the main reasons we have roof issues or leaks in the home are due to improper installation of the roofing system. While it may not be possible to determine if a roof was installed perfectly according to the manufactures instructions, there are some common issues that can be seen. 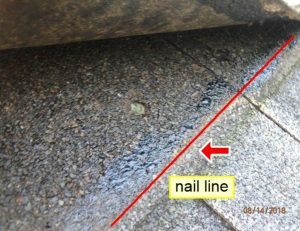 Of those issues, the one I would like to point out today is improper nailing. Each manufacture has a specific set of instructions and diagrams on the package that states where nails should be installed. Proper nail placement is important for basically two reasons: 1. increased resistance to wind damage. 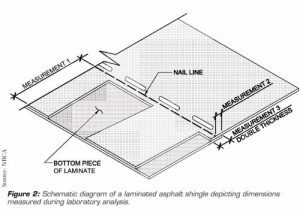 2. to prevent separation of the “laminated” shingles. The above picture shows a half a million dollar home I inspected that the shingles were improperly nailed and were starting to fall or move down. This is happing because the shingles were nailed too high (and have little wind resistance) and because the nails were nailed too deep. 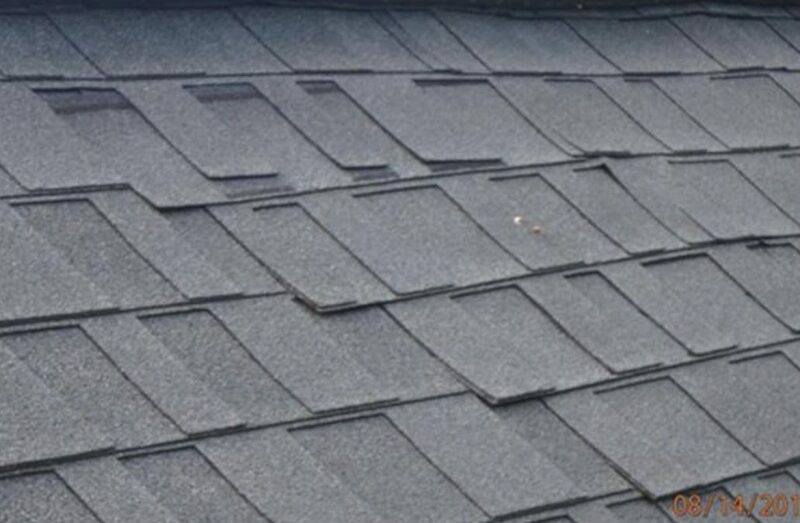 This is not always visible to an inspector, generally because shingles have an adhesive bond that bonds the shingles together for better wind resistance (breaking the bond of the shingles would weaken the roof system). The adhesive is also the reason that most of the time improperly nailing will not show up as an issue until several years after the roof has been installed (it can take as much as ten years or more for this to be seen). But, as an inspector and a roofing contractor, I try to evaluate this where possible. There is little that can be done once the shingles have been installed improperly, but the inspectors job is to try to educate the buyer as much as he can about possible issues. If this is an issue, and the buyer buys the home, the best thing to do is to keep a close eye on the roof for shingles that look out of place. This generally happens after a storm or when the seasons are changing. It is a good idea to have your roof inspected by an inspector or professional roofing contractor at least once a year for these kind of issue. 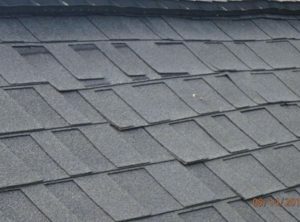 If there area shingles that are out of place the roofer can re-nail the shingles but the home owner must realize that further damage is likely. When you have your roof replace, be sure to hire a qualified, professional roofing contractor that will install the product according to the manufacture instruction.